On Thursday, Syrian President Bashar Assad estimated that Idlib province was now home to "tens of thousands of terrorists" and said that the region was among the priority areas for the Syrian military's operations. 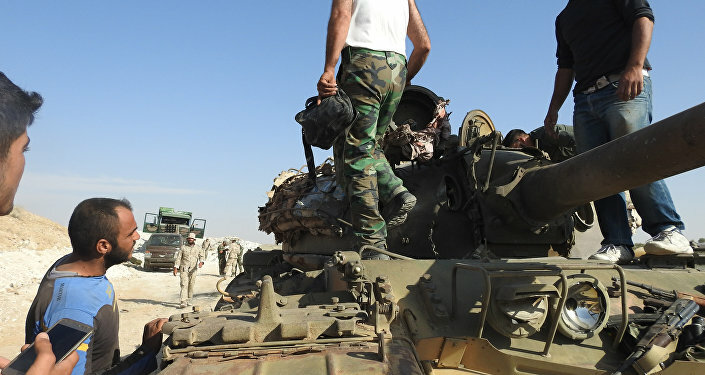 A Syrian military source has told Sputnik Arabic that the Syrian Army was sending military equipment and ammunition to the borders of Idlib province and preparing for a large-scale operation to clear the area of terrorists. 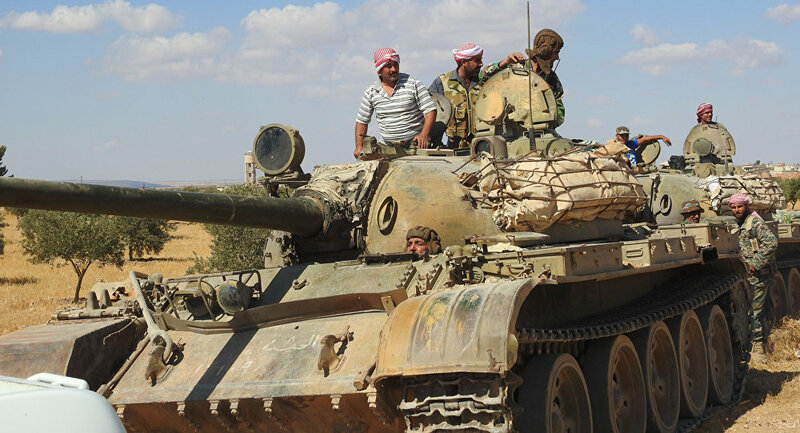 "Military units are being deployed in the north of Hama province. 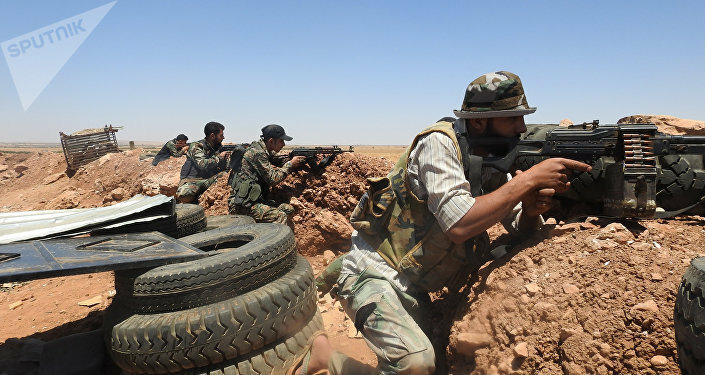 The next stage will be to launch an offensive on the position of the terrorists from Jaysh al-Izza* in the villages of Kafr Zita, al-Lataminah, Latmin, Zakat Arbaen, al-Lahaya, and Maarkabah," the source said. "The army is receiving information that militants in the north of the country are preparing to launch a broad offensive on the positions of the Syrian Army. All necessary measures have been taken to strengthen our positions, which will enable the army to deflect a number of possible strikes," the source added. 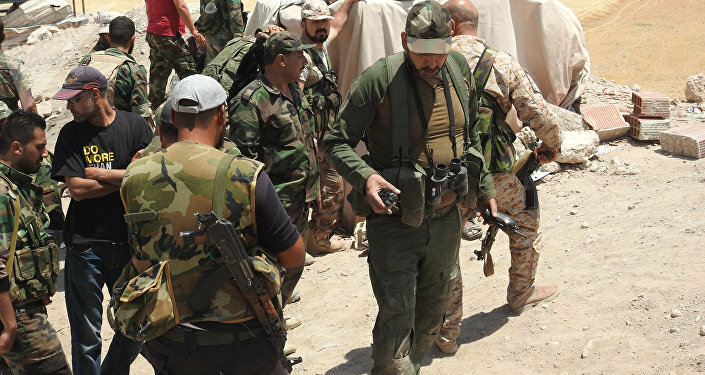 The source also said that the Syrian Army would engage in a broad attack along several axes to secure the countryside in Latakia province west of the village of Jisr al-Shughour, thereby putting an end to the militants' control in the area. Most of Idlib province is currently occupied by a disparate collection of militant groups. The region has been home to infighting between Nusra Front** and Ahrar al-Sham,** the latter being another coalition of Salaifist jihadists. Over the last three years, militants from Aleppo, East Ghouta, Daraa province and other regions have evacuated to the region under agreements with the Syrian government. With the liberation of broad areas of southern Syria this month, Idlib province has become one of the last anti-government strongholds in Syria. Syrian forces prepare for operations in Idlib province. Speaking to the Russian media on Thursday, Bashar Assad said that Idlib was the "goal, but not the only goal" for the Syrian Army and its allies in its operations to restore control over the rest of the country. * Also known as the 'Army of Glory,' a Free Syrian Army-affiliated militant group concentrated in northwestern Syria. The group is believed to be armed with US-made anti-tank missiles and is allied with Tahrir al-Sham, aka Nusra Front, aka Al-Qaeda in Syria. ** Terrorist groups outlawed in Russia and many other countries.